Vape Dragons may receive information about you from other sources. These other sources may help to improve the quality or personalization of services that we provide to you. We also receive and store certain types of information when you interact with our website. Like many websites, we use “cookies” to obtain information when your web browser accesses our website. The purpose of “cookies” is to help us recognize you as you use or return to our website so that we can provide a more personalized shopping experience for you. The “cookie” is also used to keep items in your shopping cart between visits. Please note, however, that you do not need to enable cookies to browse or shop at vapedragons.com. Our website may also use other technologies to track which pages our visitors view. This anonymous clickstream data provides our customers with a better, more secure shopping experience and helps VapeDragons.com understand how visitors use our website. Our goal is to provide our customers with the highest level of service possible. From your first visit to our website to the delivery of your order, we want you to be completely satisfied with the experience without compromising your privacy. By collecting information, we are able to offer you features, such as My Account (which saves you time during the order process), and a more customized website that better reflects your individual preferences. Vape Dragons uses your information to provide requested products and services to you and to support general business operations. Vape Dragons also protects your information from loss, misuse or alteration while it is under vapedragons.com control. Protection of your information is a priority at vapedragons.com. We have adopted reasonable security measures to protect the confidentiality of personal information under our control both online and in our store. When you enter personal information on our website, the information is protected by a security technology called Secure Sockets Layer (SSL), which encrypts your information during transport across the Internet. Further, your account information is only accessible with the password you choose when you open an account. Please maintain the confidentiality of this password in order to ensure the protection of your account information. We may provide your information to a third party in the process of fulfilling an order for products or services you have placed with us. For example, we may provide your address to the shipping carrier where you have requested shipment for a purchase. Vape Dragons only shares the necessary information to third parties to provide the requested products or services in your order. Vape Dragons may share information in other special circumstances. We may disclose information where we have a good faith belief that disclosure is appropriate to comply with the law or where we believe disclosure is necessary to protect you, to comply with legal processes or authorities, to respond to any claims, or to protect the rights, property or personal safety of Vape Dragons, its customers, its associates or the public. 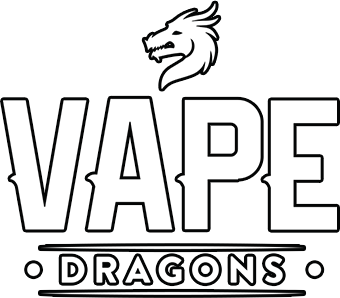 Vape Dragons may share information with carefully selected vendors and business partners who may share offers and opportunities with you based on your interests. Vape Dragons wants to communicate with you to inform you of product specials, changes to our website, contests and surveys, or other information we think may be of interest to you. Similarly, carefully selected vendors or business partners may want to communicate with you to inform you of special offers or opportunities. If you do not wish to receive certain information or request that your information not be shared with third parties, please e-mail info@vapedragons.com. Please be sure to include your full name, the types of communication you would like to receive or not receive, and your related contact information. Please note that even if you opt-out of receiving marketing communications from Vape Dragons you may still be contacted for transactional purposes. Some examples include request for customer service or questions regarding your order. If you have created an Account on our website, you may review, update or correct your account information by accessing your Account with your password.